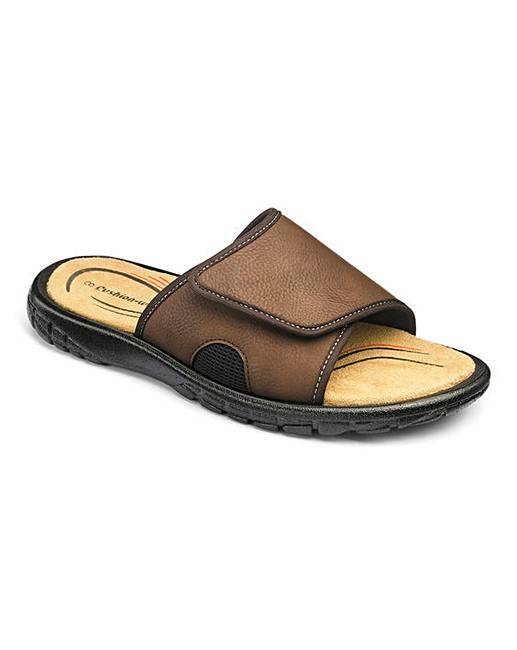 Cushion Walk Touch & Close Mule Sandals is rated 4.8 out of 5 by 12. 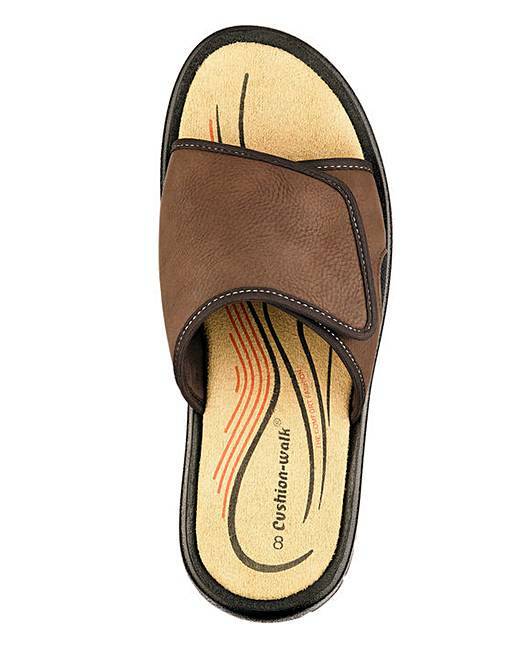 New to our Cushion Walk range are these touch & close mule sandals. These sandals are the ultimate easy style for the summer months. 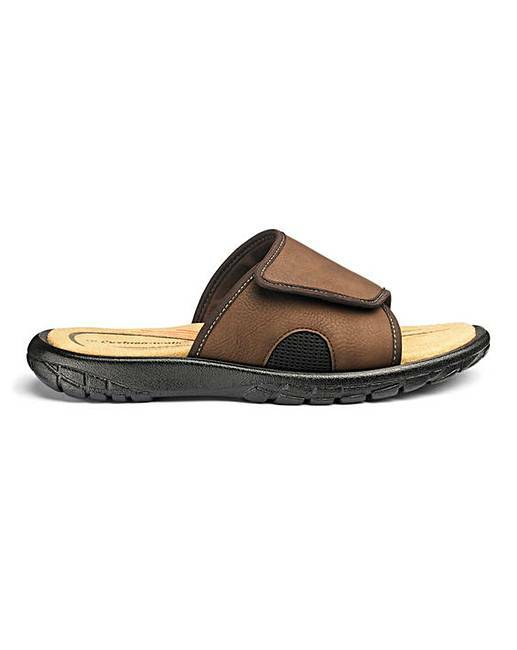 Featuring cushioned socks these are the perfect sandals for your summer holiday. Rated 5 out of 5 by Patrick from very comfortable to wear Very comfortable to wear and with the adjustable top means even if your fit swell they can be altered to allow for comfort at any time. Rated 5 out of 5 by Robin from Cushion Walk Mule Sandals I bought these a month ago, for my Holiday abroad. They are very comfortable and don't slip. If warn on the beach and covered in sand, they are easley rinsed without ruining the sandal. Wore them all the time. Rated 5 out of 5 by Martin69 from Fits well Excellent fit size 10. Very comfortable. Light on the feet. Rated 5 out of 5 by Tommys mate from Holiday essentials Like walking on a cushion of air. Really glad that I bought these. 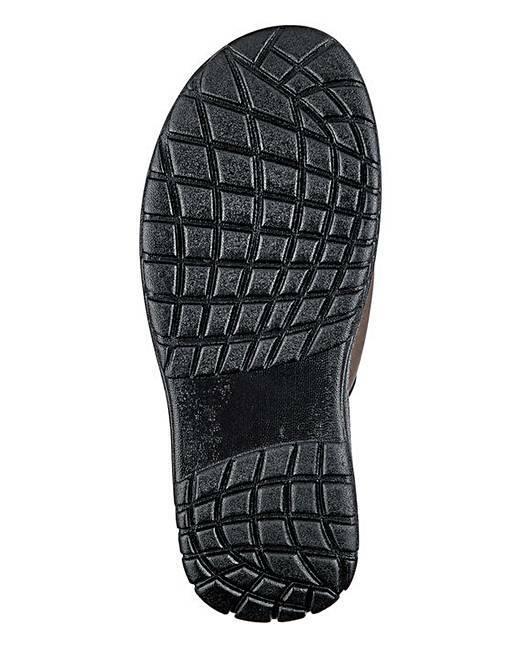 Rated 4 out of 5 by Ejb from Good value Well made for price, with hard wearing plastic sole and adjustable Velcro fastener. I use as a House/Garden slipper, especially for the hotter weather. Very pleased with it so far. Rated 4 out of 5 by Sauros from Comfortable to wear. It took me awhile to accustomise myself to find the ideal setting with the adjustable straps. Once I did I discovered that they are best worn with socks to keep control of them. It is good to get into them after wearing my trainers all day. Maybe with time I will master walking in them without socks. At present I don't risk it, as they tend to slop about on my feet. They look very good and smart, and I am pleased I took the time to shop around. Rated 5 out of 5 by Ray Senior from Cushion Walk Means Comfort I bought these as a replacement for 15 year old comfortable mules from Greece. These are the most comfortable I have tried since then despite trying other brands and having to return them for lack of comfort. I would definitely recommend these and can now finally throw out my ancient Greek mules.